Moving domain name systems (DNS) to the cloud changes the scope of data security across the virtual architecture. 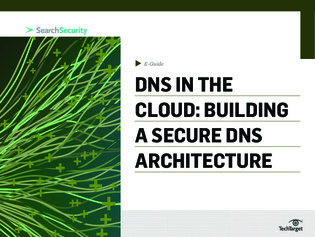 Cloud customers are expecting providers to take the appropriate steps to secure their DNS infrastructure. In this expert e-guide, explore the mitigation measures to look for in your next cloud provider. Should you start with DNSSEC signed zones? Click through to uncover the answer.